"This is a constant dripping tap," said Dimple Roy, director of water management at the institute. "We're releasing 600 kilograms of phosphorus every single day out of the North End treatment plant. And given current timelines of the full upgrade, we're going to be seeing these kinds of loads for the next 10 more years." The treatment centre, is Winnipeg's largest. It's also the largest single source of phosphorus and nitrogen flowing into Lake Winnipeg, the institute says. Once in the lake, those nutrients promote the growth of algae that alter its ecology. Until the billion-dollar upgrades go ahead, the research institute and the Lake Winnipeg Foundation want to see the city adopt a chemical treatment plan they say could be implemented this year — at a fraction of the cost of the full upgrades. The proposal would see the treatment centre adjust its use of ferric chloride, a type of iron salt already used in maintenance of the plant. The chemical would bind to phosphorus in wastewater and settle to the bottom of tanks for filtration before effluent leaves the centre. The project would cost $3 million up front, plus $2 million in annual operating costs, the groups said. "We think there's a real opportunity here for a collaborative approach, and a win-win on addressing some shared priorities," said Alexis Kanu, executive director of the Lake Winnipeg Foundation. "The proposal that we're putting forward … is a drop in the bucket, compared to some of the other numbers that we tend to hear when we talk about wastewater treatment." A spokesperson for the City of Winnipeg said the city is aware of the proposal and it's under review. The spokesperson didn't respond to other questions about requirements under the plant's operating licence, whether the plant already uses ferric chloride, or the timeline for the upgrades. Upgrades to the North End treatment centre were ordered in 2003 by the provincial Clean Environment Commission. The city was also told to upgrade its South End and West End sewage treatment plants in order to reduce the nutrients that flow into Lake Winnipeg. Work at the West End plant, which handles 10 per cent of the city's sewage, wrapped up in 2008. Upgrades to the South End plant, which processes 20 per cent of the city's sewage, are underway. But since 2003, the projected cost for the North End plant upgrades has steadily climbed. It's now pegged at $1.8 billion. The Clean Environment Commission originally envisioned all three levels of government would share the cost for the upgrades, but so far those commitments haven't materialized and the city has shouldered most of the cost on its own. A spokesperson said the provincial government remains committed to the North End treatment centre project, but it would be premature to comment on the latest proposal as the city explores its options prior to a Notice of Alteration to change its Environment Act licence. The licence sets standards about effluent coming out of the plant. Thus far, the city has officially committed to pay for the first phase of the North End centre upgrades: $408 million for new headworks and a new power supply. Kanu said the new proposal is compatible with that investment. "The reality is, we don't yet have that $1.8 billion secured. We don't know what's going to happen 10 years from now, in terms of design, in terms of costing," she said. "What we do know is in the here and now, there is a cost-effective and technically feasible solution that we could be applying to address these concerns." The ferric chloride option, already in place in some eastern Canadian jurisdictions, could cut the phosphorus coming out of the North End plant by about 70 per cent, Kanu said. Around 70 per cent of Winnipeg's wastewater goes through that plant. 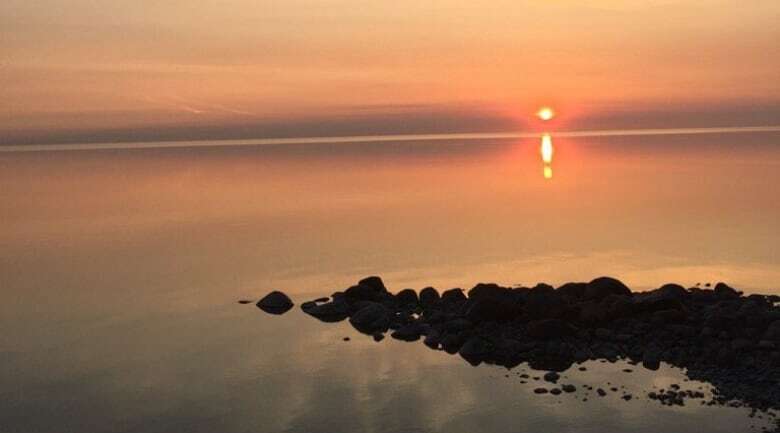 The City of Winnipeg as a whole contributes about five per cent of the phosphorus going into Lake Winnipeg, according to the International Institute for Sustainable Development. Kanu and Roy said the city is a rare "point source" polluter to the lake. The other 95 per cent of nutrients heading into the lake come from myriad sources scattered throughout the lake's vast basin, which stretches across Western Canada and into the U.S. The many stakeholders in the basin can make lake protection a hot potato as decision-makers point fingers, Roy said. But she said that leaves the door open for Winnipeg to take leadership. "Turning off the dripping tap is the first thing you address.… You have to look at other sources. But this is the clearest point source that we have. And frankly, the City of Winnipeg is where a lot of the people who benefit from Lake Winnipeg live," Roy said. "What will happen if this isn't addressed is that the City of Winnipeg — and people like us living in the city of Winnipeg — start to lose credibility when we're saying that this lake is important to us."